2017 4 Up Laser W 2 & Laser 1099 R Double Window Envelope TF61611 At Print EZ. 2017 4 Up Laser W 2 & Laser 1099 R Double Window Envelope Item No. 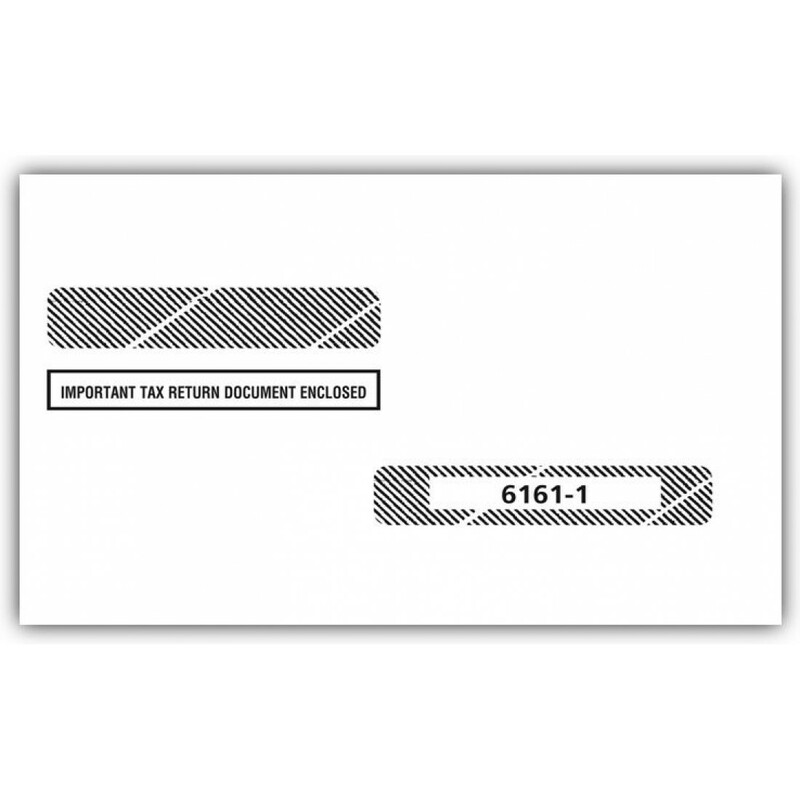 TF61611 Size: 9" x 5 5/8"
Make your tax filling easier with these double window envelopes that have been designed especially for the purpose. 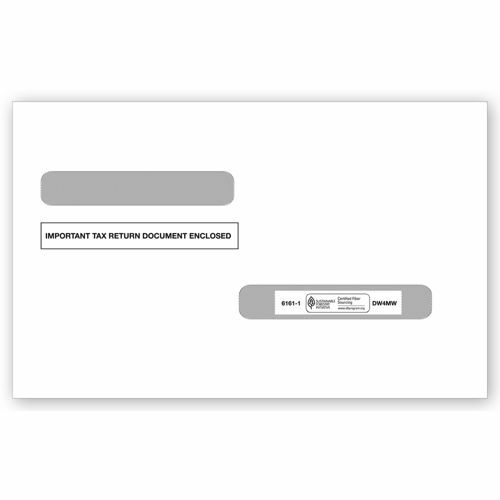 These envelopes are print lined so as to offer added protection and security to the tax forms that they carry. The convenience that these envelopes provide makes them a favorite among most of our corporate clients. The windows are placed exactly where the sender and recipient address appear, making them extremely easy to use. We also print the words ‘important tax return document enclosed’ to save you the trouble of doing so. Gummed flaps ensure that all you need to do is moisten the gummed flap and seal.